Now learn to apply makeup like a professional makeup artist. Here is how.. The best thing about being a beauty writer is how experts willingly share some best kept secrets and clever tricks from their trade and craft with you. Of course things like using the end of a card to create a perfect cat eye are jaded now. So here are 10 make up tips to learn from professional makeup artists that I encountered over the last few months. Try them, they are part of my makeup and beauty retinue now…and let us know which one is your favorite. 1. An affair with the blush: For a rosy glow from within, add your favorite blush to the cheeks before you apply foundation for a glow that looks like it’s coming from beneath the skin. A bright, warm pink at the apple is perfect for any complexion. Also, always apply cream blush, bronzer, and highlighter underneath foundation. No, it doesn’t defeat the purpose of applying it. By applying a cream bronzer, blush and/or highlight underneath a lightweight foundation, you’re creating that natural lit-from-within glow that we all desperately want. 2. 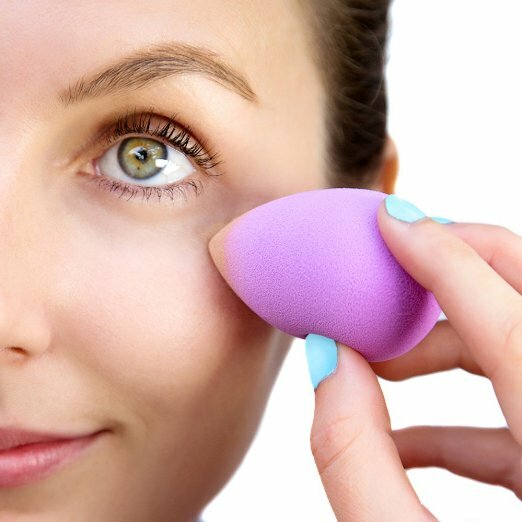 Foundation application: Use a beauty blender to apply foundation to get flawless makeup that doesn’t look too heavy. These great little tools, which are supposed to be used slightly damp, will allow you to easily get to every contour and apply foundation evenly all over your face. 3. 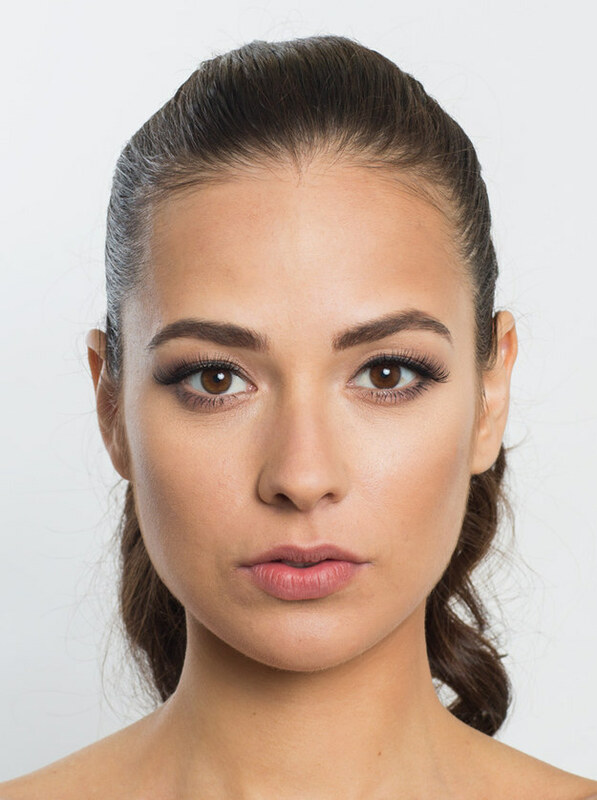 Line the eyes effortlessly: Many women find it incredibly difficult to draw a straight and flawless line with eyeliners, especially liquid-based ones. 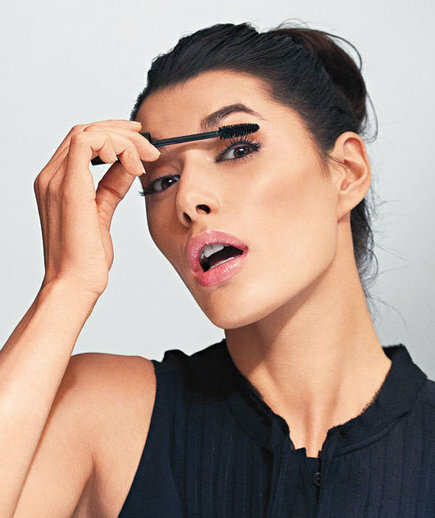 But here’s a neat trick that will change how you apply eyeliners forever! The trick is to apply your mascara first. What? Yes, and then, when you begin to apply your eyeliner, let the tip of your applicator fall into your lashes instead of going for that line straight across your eyelid. 4. For a luminous skin effect: Mix your foundation with a golden or a pearly white eye shadow. It gives your complexion a radiance beyond compare. 5. Puffy bags: To reduce puffiness, pop eye lotion in the icebox and apply to lids before eye makeup. 6. Powder In-between primer and foundation: The idea to do this is so your primer sets and the makeup lasts all day. It sounds odd (since we’ve always been told to never apply liquids on top of powders), but it actually works. Apply your regular face primer and dust a lightweight translucent powder over top. By doing this, you are locking it in, ensuring that the primer won’t slide around and disturb your foundation. But remember, moderation is key—applying too much powder will make the foundation application cakey. 7. 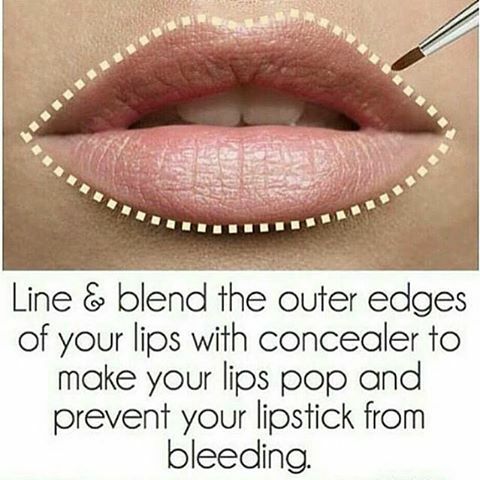 Use concealer to prevent lipstick from bleeding: Concealer isn’t just for covering uneven skin tone or blemishes. When it comes to your lips, concealer can be used to prevent lipstick from bleeding. The best way to keep your lipstick in place is to apply a bit of concealer before applying your lipstick, and then finishing the look off by dusting some translucent powder on top. 8. Add dimension to their faces using bronzer: Applied along the jaw line and on the temples, bronzer can give your face the illusion of being chiseled. Bronzer adds color to an otherwise sallow face. Use a big rounded brush to apply on the spots where the sun naturally hits — your forehead, cheeks and nose. Be sure to blow off excess bronzer so you don’t go overboard. 9. Get rid of peachy fuzz: Make “Peach Fuzz” disappear using a makeup brush. Every woman can relate to the struggle of applying foundation only to have all the baby hairs on your face be emphasized. However, there is a little application trick to ensure that peach fuzz stays invisible. 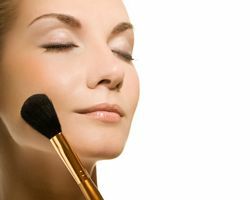 After you apply your foundation and powder, take a makeup brush and run it along your entire face in a downwards motion. This will make sure that those baby hairs lay flat against your skin. 10. Get dewy skin naturally: Powder is tricky to use, but a necessary evil, especially so your face doesn’t get an oily shine in photographs. Dewy skin is in. And once we hit a certain age, it may be harder to get dewy skin naturally. 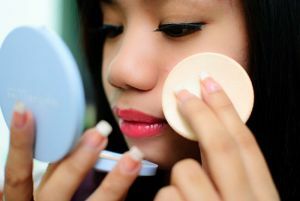 However, apply a bit of powder at the end of your makeup routine, just before you apply lipstick. Use a large brush to powder the T-zone, or take a more detailed approach and use an eye contour brush to powder under the eyes, along the sides of the nose, and across any skin you want to look smoother. Finally, use a makeup setting spray so the skin doesn’t look too powdery.